Why Choose Champion Chevrolet of Fowlerville to repair my vehicle? Champion Chevrolet of Fowlerville has been excellent customer service and repairs in the Metro Detroit area for decades. While restoring your vehicle back to its pre-loss condition, we are backed by a limited warranty for as long as you own the vehicle. We ensure our detailed process will ensure a hassle free customer experience. We look forward to building a long standing relationship with our customers and assure we will provide you with satisfaction while your vehicle is with us. How much will it cost and how long will you need my vehicle? Champion Chevrolet of Fowlerville understands your concern with the costs associated with any vehicle repair. We work with many insurance partners in the nation. Our main goal is to return your vehicle in its pre loss condition as soon as possible. Our detailed process at Champion Chevrolet of Fowlerville makes sure your vehicle goes through the necessary processes in order to reach completion. Each vehicle is handled on a case by case approach. Our transparency pricing with your repair is important to us. Champion Chevrolet of Fowlerville must disassemble your vehicle to determine the length and costs of your repairs in order to eliminate a “guestimate” solution. Once our trained technicians have disassembled and has communicated with our estimators, we will have a solid solution for your vehicle within 24 to 48 hours. Your estimator will strictly advise you of all costs and lengths of time associated with your unique repair. We understand the despair our customers face when they are without a vehicle for an extended amount of time. The inconvenience is number one priority to fix your vehicle properly in the least amount of time possible. Will Champion Chevrolet waive my deductible? Your deductible is a portion of your repair paid by your insurance company. Your insurance company is the only principle to determine and/or authorize to waive your deductible. In many states, when the term “waive deductible” is determined, they are leaving a portion out of the repair process and not informing the customer directly. This allows them to “make up” for the amount that is covered. Champion Chevrolet of Fowlerville wants to make sure our transparency is communicated to every customer that walks through our doors. Each customer has the decisions to make regarding their vehicles’ repairs. There are insurance companies that are willing to offer an appearance allowance on minor cosmetic imperfections. The amount of the given allowance varies based on the cost of the parts and severity of the affected area of your vehicle. The money may be put towards your deductible amount if the customer finds themselves satisfied with the finish and fit the part in “as-in” condition. Am I able to bring my vehicle to Champion Chevrolet Howell even if you are not on my pre-approved insurance list? Champion Chevrolet of Fowlerville accepts your vehicle whether we are a preferred partner or not. Fortunately, we are able to work with all insurance companies. Michigan State Law governs an insurance company from “steering” customers to specific repair facilities. This allows you to choose a repair facility you trust within any proximity you choose. What is the difference between vehicle estimate and insurance company estimate? Champion Chevrolet of Fowlerville prides ourselves on our transparent pricing. If you happen to be shopping around to different repair facilities, you may find a different facility provides an exceptionally low estimate for your vehicle repair. Those estimates are contingent on additional costs once your vehicle has been disassembled. These “unforeseen costs” may add up to additional expenditures you were not expecting. We do state, that unforeseen costs are not always unavoidable depending on case by case collision repairs. Champion Chevrolet of Fowlerville helps to eliminate these costs by dissecting your repair before an estimator has contacted you. We strive on our reputation of preparing a very straight forward, accurate estimate based on our repair methodologies and knowledge. Each insurance company creates their own set of pre-determined “chargeable and non-chargeable” items in an effort to produce the most cost effective repair. What if I happen to have problems after my vehicle is returned to me? All of your repairs at Champion Chevrolet of Fowlerville are guaranteed for as long as you own the repaired vehicle. Disclaimer: abuse, subsequent damage and wear/tear are not covered under this warranty. Your warranty will be explained in full by our management. Please take the time to read and understand the warranty. Our knowledgeable staff can help you with any questions you may have regarding your warranty. Are you able to provide me a loaner vehicle while work is in progress? We understand this process can be stressful and want to provide the best customer service while your vehicle is in the rehabilitation process. Please feel free to consult with our management on any questions and/or concerns you may have before bringing your vehicle to us. We want to make sure our transparency within our organization helps ease any tension you may have. We are able to put you in contact with the closest rental car location or if you are covered under your insurance, we are able to reserve your rental car for the day you are scheduled to drop your vehicle off for repairs. Some of our locations have rental vehicles on site. We also have a free loaner vehicle program please ask our management for details and restrictions. Will my car be the same after an accident? Champion Chevrolet of Fowlerville says YES! Our proper repair and replacement procedures are geared to repair damaged parts that require work. The replacement procedures of damaged parts will be replaced with new ones. Certified technicians will do all the repairs on your vehicles making sure you drive away feeling relieved. Will the paint colors match perfectly after my vehicle is fixed? Absolutely! 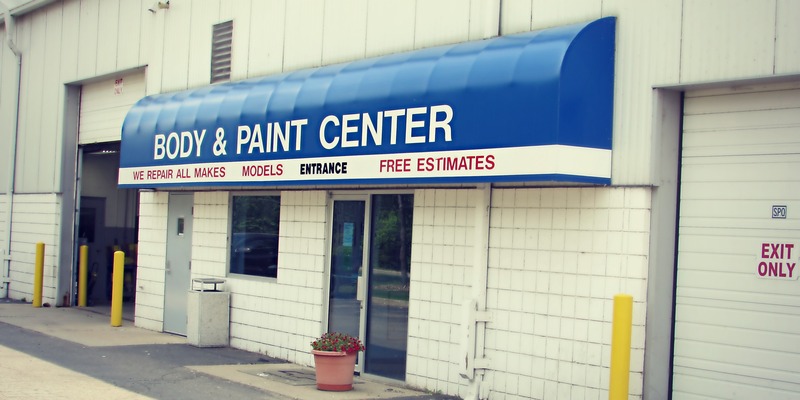 We have state of the art paint mixing systems that ensures your vehicle will match to its proper color. That also includes all vehicle colors and finishes. We mix our paint in house using BASF refinishing process that allows us to match the paint to your specific vehicle. If you have any questions regarding this process, please feel free to give us a call to explain in further detail. If there is frame damage, will my vehicle perform the same? Yes. Our ASE and ICAR certified technicians use the state of the art equipment designed to restore your vehicle back to its pre loss condition. The integrity on your vehicle is our integrity at the collision center. If your vehicle’s structure is compromised, Champion Chevrolet of Fowlerville will properly and safely replace affected structures. Whether your vehicle is conventional or full framed, there are many ways to repair and realign damaged areas. Each manufacturer has specific measurements used to put the structural integrity back to its pre loss condition. Many vehicles today are bonded components used to create one structure. This is designed to direct damage around the passenger cabin using specifically designed crush zones. These areas are repairable but mostly serviceable in sections and/or individual pieces to cause the lease amount of intrusion to the vehicle structures. These procedures are performed while following all manufacturer guidelines to ensure your repair is achieved. This ensures the safety of your vehicle.